The proposal was one of several topics covered at a meeting of state treasurers with their federal counterpart Joe Hockey on Wednesday. 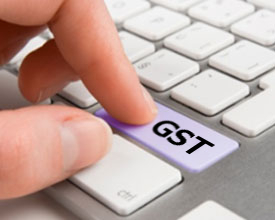 The governments are considering lowering the threshold for GST down from $1000, so that it can be taken from smaller purchases. An agreement was made that an agreement will be made next year. State treasurers were presented with a range of options, including lowering the threshold to $500, with further drops phased over time. Most of the state money-holders want a straight drop to $20, as well as requiring it to be collected at the point of sale. A change in some form has been strongly backed by retail groups, and strongly opposed by consumer groups. Retail groups say dropping the bar will allow Australian businesses to compete with overseas prices online, but there are doubts over whether the increased income will be higher than the cost to collect it. South Australian Premier and Treasurer Jay Weatherill said there was more work to be done before any of the proposals could be accepted. Tasmanian Premier Lara Giddings put it more bluntly. “The Liberal States want to see change around the GST, the Labor States do not,” she said.